Here at V&E Restaurant Group, we run a whole family of eateries at which no shortage of adult beverages are served to go along with some creative and dynamic international cuisine. We’re fully aware that some customers find the prospect of ordering a drink—especially up at the bar itself—a little intimidating. You might worry about sounding uneducated about the world of spirits or wine or craft beer. You might find the jampacked, elbow-to-elbow crowd and a super-busy bartender a daunting sight. Or perhaps you’re on the pickier side of things when it comes to your tipple, and you’re skeptical of a particular establishment’s mixological selection and prowess. Well, to help assuage some of your fears and arm you with a few strategies, we thought we’d put together a few very basic tips for ordering a drink at a bar. 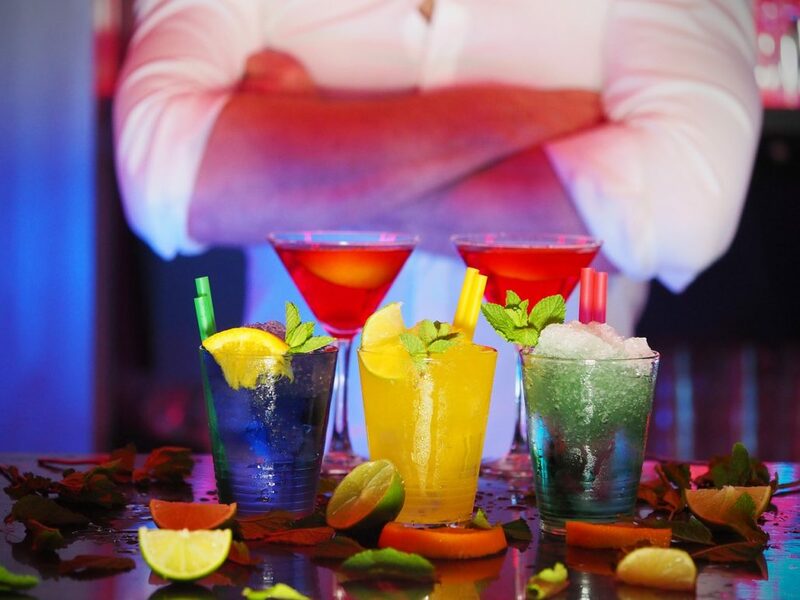 Read on, and then come wet your whistle at one of our Miami or Vegas restaurants! There’s an unfortunate subclass of patrons whose M.O. seems to be specifically trying to order a drink the bartender has never heard of, and then smugly educating said barkeep (within earshot of as many fellow customers as possible). There’s nothing wrong with ordering an obscure drink, and there’s also nothing wrong with a bartender who’s unfamiliar with the concoction: There are many mixed drinks out there in the world, needless to say, and often multiple names for each. If the bar’s slow, many bartenders will be open to crafting a drink they don’t know based on your friendly instructions (or some other reference), but it’s on the annoying side to expect this on a busy night with plenty of other customers clamoring for prompt service. If you’re not exactly sure what you’d like to order, Alex Van Buren—in a great writeup tapping the knowledge of three ace NYC bartenders—suggests what might seem an obvious strategy: ordering one of the specialty or signature drinks from an establishment’s cocktail menu. After all, these choices are presumably what that establishment considers its best mixological work, so why not experience some of it? Even when it comes to classic cocktails, each bartender or bar is likely to have a slightly different approach to the mixology. That’s fine (and fun) for many customers, but if you like your Old Fashioned or Dirty Martini in a particular way, let the barkeep know. For more drink-ordering techniques and etiquette, we encourage you to read the rest of Van Buren’s MyRecipes writeup as well as this Bars & Bartending guide. Meanwhile, we hope you’ll join us soon at one of our Miami or Las Vegas restaurants for the beverage of your choice, not to mention a homerun meal to go along with it!